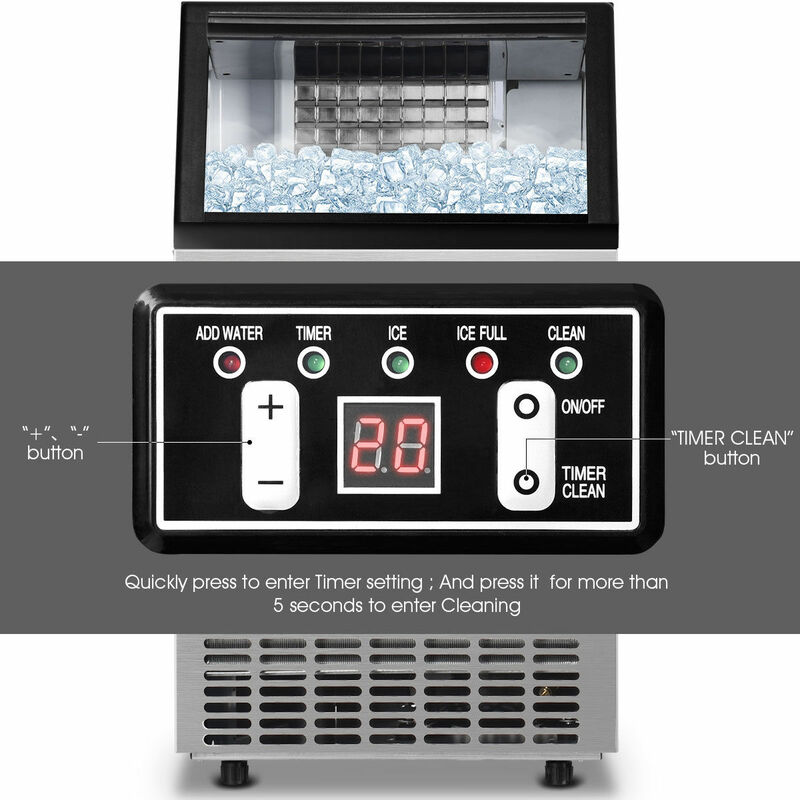 This beautiful stainless steel free standing or built in application ice machine produces up to 110lbs of clear hard cube shaped ice per day, a bin capacity of 33lbs and has a 12 to 18 min ice making cycle. It is the perfect option for any home scenario.This ice maker features completely automatic operation and makes clear, bullet shaped ice. Enjoy free-standing, recessed or built-in application of the machine. A free-standing installation will allow you to install the ice maker in any place you desire, provided you have access to a water supply and a drain. A recessed installation will allow you to install the ice maker under a counter or in a kitchen cabinet if you have the required clearance space around the ice maker. Ice shape: ice cube 0.9"*0.9"*0.9"
Unit Dimension: 19" *16" *31"